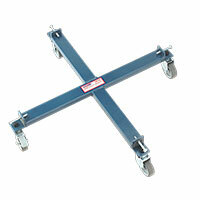 Move drums quickly, easily and safely with one of our high-quality drum trolleys. 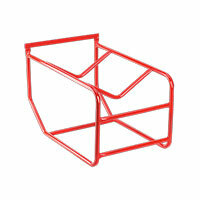 We have a wide range available, all at the great prices you always find with Euro Car Parts. Drums are often used to store everything from water to corrosive chemicals, important substances and waste that needs to be disposed of. 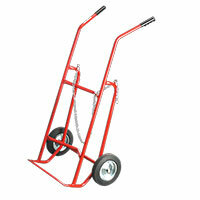 To do this efficiently drums can be very large and thus weigh a large amount when full. Transportation of these drums must be done easily and safely - and that includes personal safety for the individuals transporting them. 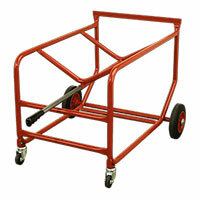 If you keep large drums, it's therefore important to have a robust drum trolley available as well. 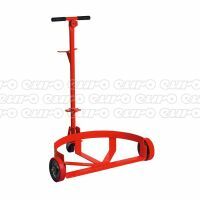 Made from rigid steel with large, lockable caster wheels capable of dealing with uneven or slightly rough flooring, our drum trolleys are just what you need to remain safe in the workplace. Whether you're buying individual items or in bulk, you receive free delivery to UK addresses with Euro Car Parts. For buyers from overseas, there are a host of international delivery options. If you need your drum trolley in a hurry, you can either take advantage of our next-day delivery service, or click and collect from any of our more than 200 stores nationwide.